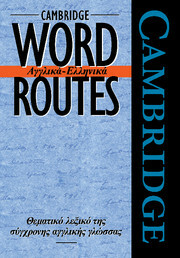 Cambridge Word Routes and Word Selectors are a range of unique bilingual reference books in which words and phrases are organised in topic groups, helping learners to explore related vocabulary in a way that is not possible in conventional dictionaries. The learner's own language is used in all explanations, making the information easy to use. The only bilingual reference book to explain clearly the differences between near-synonyms in English. Attractive layout and explanations in Greek make this book easy to use. Concentrates on contemporary language, helping the user choose the right word in the right place. 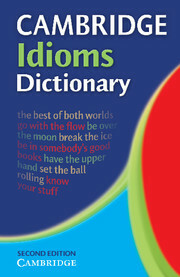 This new edition clearly explains the meaning and use of over 7,000 idioms current in British, American and Australian English.